I’ve been reading Craig DiLouie’s work for a while. I believe his career is worth watching. Last year, he published Suffer the Children, which I fell in love with, and it was nominated for a Bram Stoker Award. Craig has unquestionably made his mark on horror. But there comes a time in every artist’s career where they get fidgety and want to try something new. That’s what Crash Dive is. 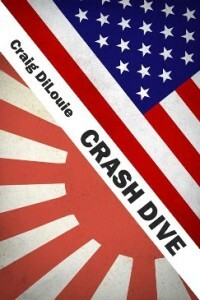 In the grand scheme of Craig’s progression as an author, Crash Dive feels almost calculated. It’s a relatively short novel. It’s hard-and-fast in a genre that he clearly has a strong affinity for. It’s somewhat safe, but he’s testing waters (he even writes in an afterword that, if Crash Dive gets a good response, he’ll turn it into a series … also, pun intended). In another sense, though, it’s a bit of a gamble. Submarine thrillers haven’t been popular for a while, and stylistically, Crash Dive is reminiscent of contemporary works as opposed to more modern fiction, in which his previous work is firmly rooted. 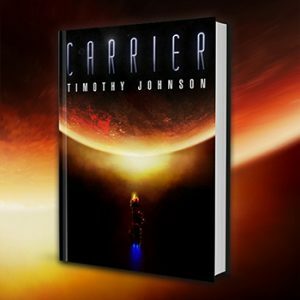 Pulling out further, perhaps my favorite aspect of Crash Dive is how the reader’s experience mirrors Charlie Harrion’s (the main character). Crash Dive begins as a light and fluffy genre story, and there’s enough of that for readers to get comfortable and think they have Crash Dive pinned down. It’s clear that Charlie, the main character, doesn’t know what he is getting himself into. And neither does the reader. As the story unfolds, it becomes a visceral experience so intense and action-packed that you can almost feel the depth charges rattle your bones. It happens quickly, and when it is over, you will reel from the ride. But that description threatens to mischaracterize Crash Dive as a typical genre piece. 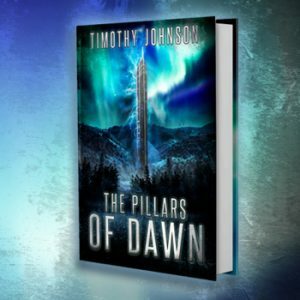 From the granular to the macro level, Crash Dive does some really interesting and unique things that any thoughtful reader could appreciate. I think it’s perfect, though, how Crash Dive lets the reader decide how deep he or she wants to go. Craig isn’t beating anyone over the head here. If you’re into it for a fun submarine thriller, it won’t disappoint. If you want more, all it requires is a bit more attention. Part of the reason why some of its depth may hide is potentially in Craig’s approach. It’s clear that he deliberately went for a simple writing style that is quick and snappy. I found another mirroring aspect here, too. The reading experience is much like life on a submarine: all nonessentials have been excised (except you will probably have the luxury of air conditioning and fresh air, unlike the crew of the S55). Like all of Craig’s work, the feeling of authenticity is strong here. You can almost taste the engine oil, feel the diesel fumes burning your nostrils, and feel the grease between your fingertips. Craig’s work is such that it is clearly painstakingly researched, and Crash Dive is no exception. Complete with maps and diagrams, the world inside a submarine comes to life. It is almost as if Craig wrote this story while stationed on an old submarine. Every intimate detail is relayed with precision. I think anyone can enjoy Crash Dive. It’s fun and action-packed. It isn’t particularly long or challenging. It certainly will satisfy any cravings for a submarine thriller or WWII story. And I encourage any current Craig DiLouie fans to not skip it. No, it isn’t zombies; it isn’t horror. But good storytelling transcends genre, and good authors bring their unique voices to whatever inspires them. That’s what Crash Dive does. Tagged Books, Craig DiLouie, Reviews, Thriller.